As soon as we alight from a passenger jeepney coming from Lipa City, Batangas, it has been an hour since we entered a 24-hour convenience store at Lemery. Silence emanated on the road and there were no signs of any jeepney bound for Balayan, Batangas to pick us up at around four in the morning. But the lady cashier affirmed with conviction that the first trip to Balayan, Batangas through a jeepney is at four. Then came the jeepney minutes after four of dawn. Together with friends Edgar, Doi and Ruby, we were the first passengers for this yet another day. A not so ordinary day for the people of Balayan, Batangas. The jeepney was occupied by wares and merchandise of varied sorts. Peddlers of soy pudding (taho), ornamental plants, eggs and bird cages compete for space. The 1-hour trip appeared like a moving market. Passengers seem wary of time. “We have to reach the city proper before sunrise”, declared by one as she summon the driver. In a race against time, it was as if something urgent and deadly is about to happen if we don’t make it before sunrise. 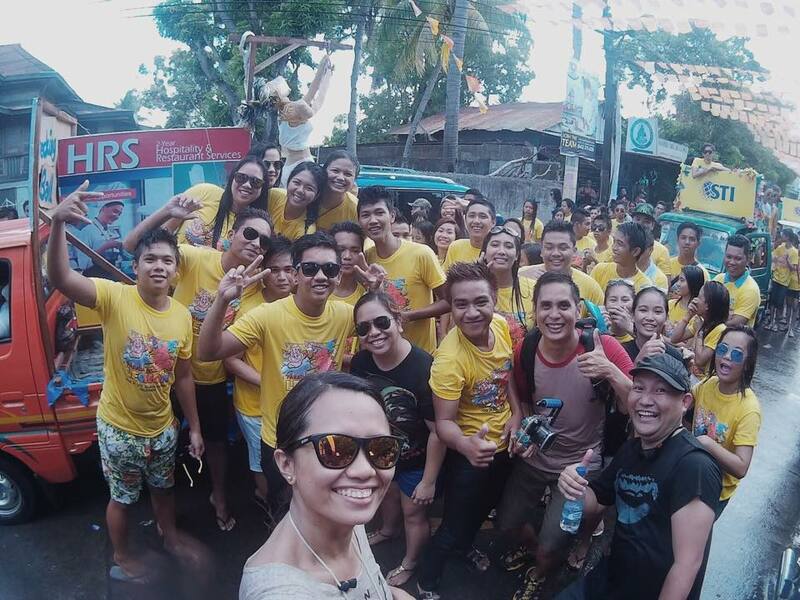 And their main concern – to be drenched in water for the Parada ng Lechon Festival of Balayan, Batangas. No one seems to be excused. 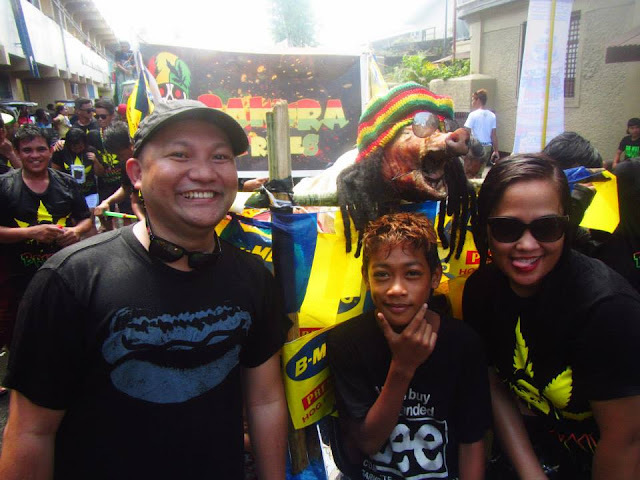 The Parada ng Lechon Festival is held annually coinciding with the feast day of San Juan (Saint John the Baptist). Dousing of water signifies the baptism of Jesus, making the festival a fusion of religion and culture. Lechon (roasted pig), being one of the main dishes served during celebrations or fiestas, it has become the symbol of Batangas traditional festivities. Devoid of quality sleep, as soon as we arrived at Balayan, Batangas and alight at the church, we went direct to our impromptu transient abode for two days through the mere information of locals. At first, there was a declared non-vacancy of rooms but we pleaded as we needed much rest even if it takes sleeping on the floor of one of the rooms. By pure luck and owners’ consideration, a bare room was cleaned and prepared for us. Three hours of sleep and we were off to experience a different kind of merry-making – the parade of roasted pig. En route to the main thoroughfare where the parades’ route is set, a sudden splash of cold water hit my back. And that was the start of the Parada ng Lechon experience. TODA (Tricycle Operators and Drivers Association) placed a booth on one corner. They offered us one cold plastic cup of beer each, which we accepted naturally. That was the first intake for the day. Fortunately, they have lechon and rice kept on the side. It was the best way to start the experience of this unique festival – to eat lechon for breakfast. Then we walked from one street to another. Water guns of varied sizes and colors as well as hose coming direct from faucets were the weapons for the day. It was one wet and wild street party. Bystanders are allowed to douse water to parade participants that comes with a free take of a piece of lechon. Roasted pigs were dressed on varied personas where a clear plastic is wrapped to prevent the lechon from getting wet. There were free samples of alcohol as well and some motorbike exhibitions. Truly, it was a different kind of experience in celebration of the Feast of San Juan as all residents were a good sport and cooperative. Irritable guests are definitely unwelcome. Meanwhile, while locals and visitors feast on lechon and engage in a drinking spree after the parade, we headed back to our quarters for the much needed rest. At dusk, we decided to scout for eateries and restaurants for our dinner. Surprisingly, a long procession was about to start which swiftly caught our attention. There were teenage girls dressed in long Filipiniana gowns and boys in barongs lined-up giving light to the long procession featuring images of Saint John the Baptist on varied carrozas (carriage) adorned with white flowers. As we move further, a luwa was ongoing. Luwa is a declamation in honor of the Virgin Mary recited by young maidens. It was the first time for me to witness such distinct Filipino religious tradition. A makeshift stage was set-up in front of the Immaculate Conception Parish Church surrounded by devotees and tourists such as ourselves. Children dressed as angels were on the side of the young maiden and an elder serving as coach at the back stage. Walking-through the Parada ng Lechon Festival of Balayan, Batangas made me realize how distinct and unique traditions are in our country and how can one even thought of combining adoration to Saint John the Baptist and the appetite for lechon.